Buying or selling a home is a major life choice. Whatever your real estate needs, we can help you reach your goals with confidence. My expertise of the local market will give you the best possible experience from start to finish. Using my website, you will have all the information you need about the current real estate market. RE/MAX: The #1 name in real estate and Billie Jean Harris. Deciding to sell or buy a home is a big step. To make sure it's a step in the right direction, choose the person best qualified to handle your real estate needs: The Billie Jean Harris Team. With 38 years of experience in Real Estate, I have the knowledge to make your experience stress free and easy. So, take a step in the right direction. Contact Billie Jean Harris. Find the latest home trends in your area. Contact us today for fast friendly advice. "Billie Harris and Dana Sharp were wonderful to my brother and myself. Everything was taken care of which gave us peace of mind. I am very pleased with their professionalism, help and knowledge. Their friendly personalities helped so much considering this was a bittersweet transition for us." 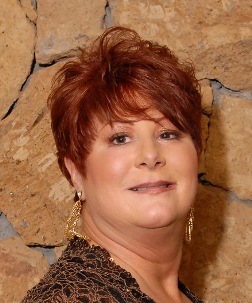 Lacy True Holiday, "Billie is a very knowledgeable & compassionate realtor!"